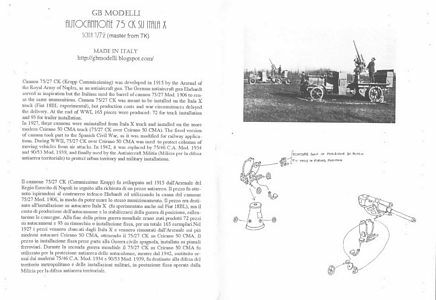 The Autocannone 75 CK su Itala X is the grandfather of every truck-mounted self-propelled anti-aircraft gun, because the original project of mounting a German Krupp 75/27 AA gun on a truck chassis dates back to June 1913. 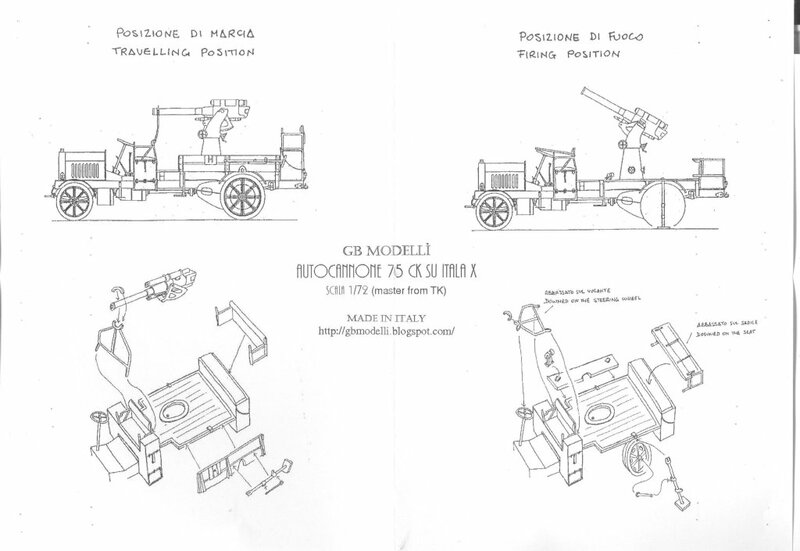 By September 1915, Italians started to use mobile AA field batteries consisting of the Mod. 1906-1915 75/27 gun mounted on a modified and strenghtened Itala X heavy truck chassis. 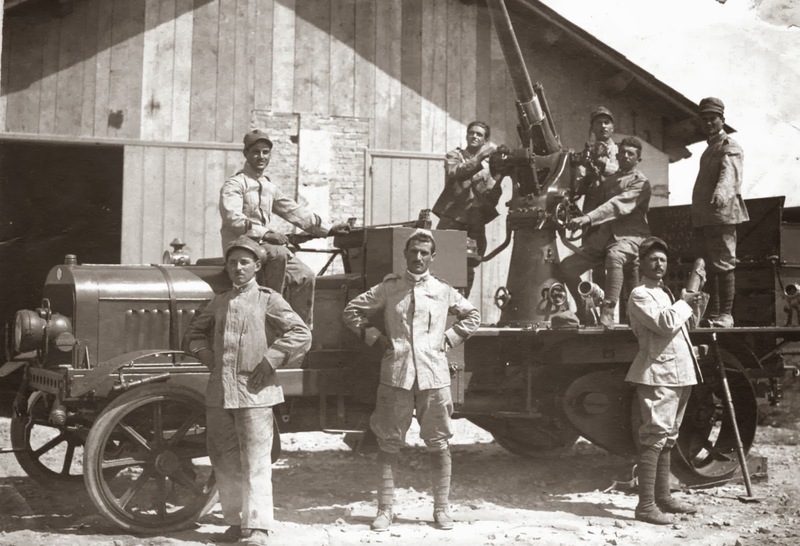 During the war, this vehicle equipped 27 batteries, with four or five guns each. The total number of Autocannoni 75 CK su Itala X produced during the war amounted to 165. The kit comes in a small plastic bag with the label at the top. The label has a small black & white photo of one of the most famous shots of this so old and rare vehicle. 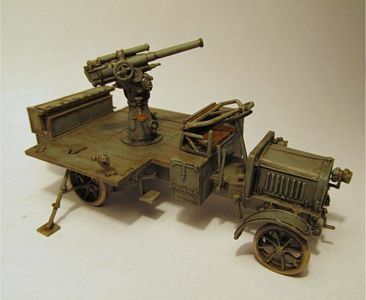 The model consists of around 60 light-amber-colored, cast resin parts, quite a great number for a resin kit. Parts are nicely cast, with no bubbles or warping. 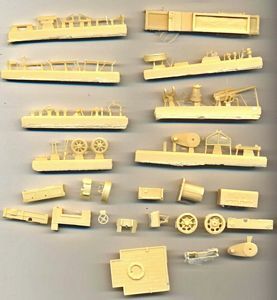 Many of the pieces are incredibly tiny and delicate, which made me think that I was surely going to break a number of them, which did not happen either because of my supernatural ability (difficult to believe) or because the pieces are intelligently secured, so that they can be removed easily. I was also surprised by the very small amount of flash which can be found. The assembly instructions are the standard exploded-view style with no written instruction. A brief inspection makes it easy to understand that there are no compromises between scale and historical accuracy. Every single detail is there: believe it or not, the three pedals are separate and must be assembled, as you can see from the photo below (one of the worst moment of my whole modeller's life was when one of the pedals fell to the ground from the tweezers - one of the best moments was when I got it back !). 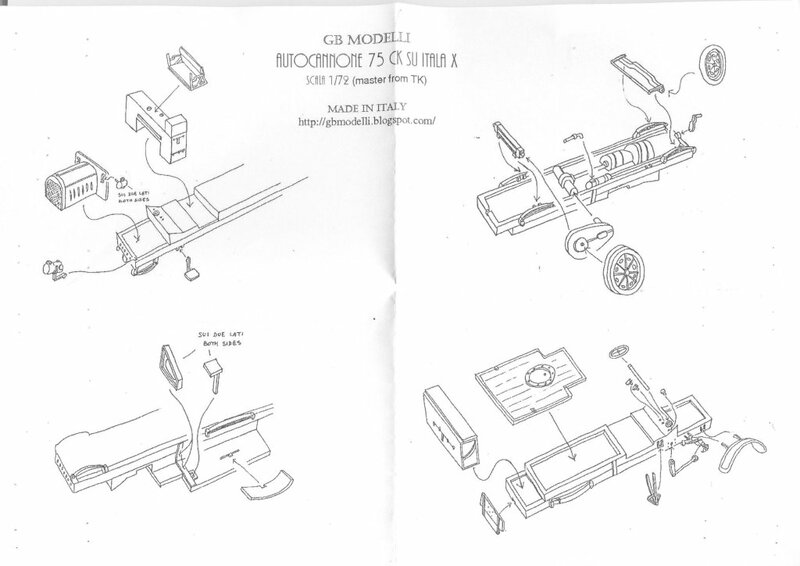 Two of the pedals are identical and must be glued close to each other and another one is different and must occupy another hole on the right. Despite their dimensions, you can notice the differences between the three and need to pay attention to choose the right one. Pieces go together very easily, so that no filing or cutting is required to make them go where they should. 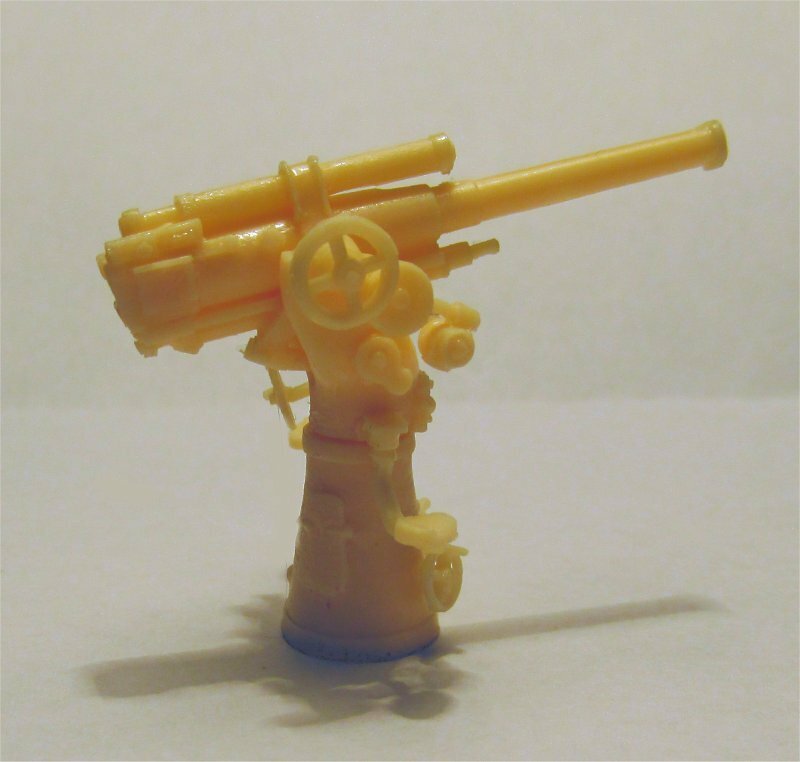 There are five very small and delicate wheels which must be glued to the gun: the bigger one goes on the right upper side, as it can be deducted by carefully observing the instructions. Speaking about the gun, it is a beautiful kit in itself, and it is also sold separately as a stand-alone piece (kit # 72014). 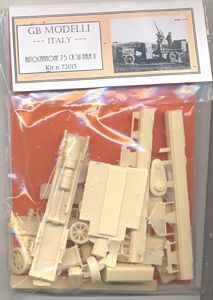 The elevation is not fixed, even though you must choose the one you want before assembling the traversing mechanism, which sadly stops the gun from moving. The muzzle comes pre-drilled, even though drilling it would not be difficult. 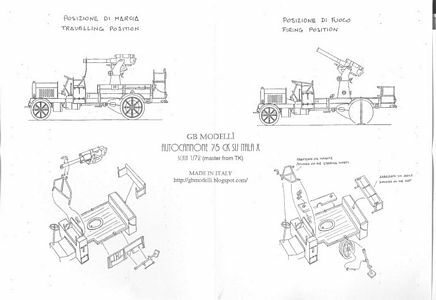 The vehicle can be mounted both in travelling or in firing position, and the differences can be clearly spotted in the instructions on the left. I know I am asking for too much, but it would have been really great if the ammunition container between the cabin and the gun were provided both in closed and open position, with the shells visible, as we can see it was during firing. From what we can argue from photographic evidence, the Autocannone 75 CK su Itala X were painted in the usual WWI Italian grigio-verde (gray-green) as almost any other Italian gun and vehicle. I could not find any info about eventual markings or license plate, so I did not put any on the model. Anyway, no decals are present in the kit. Leather parts were given various shades of leather color to reproduce heavy use. 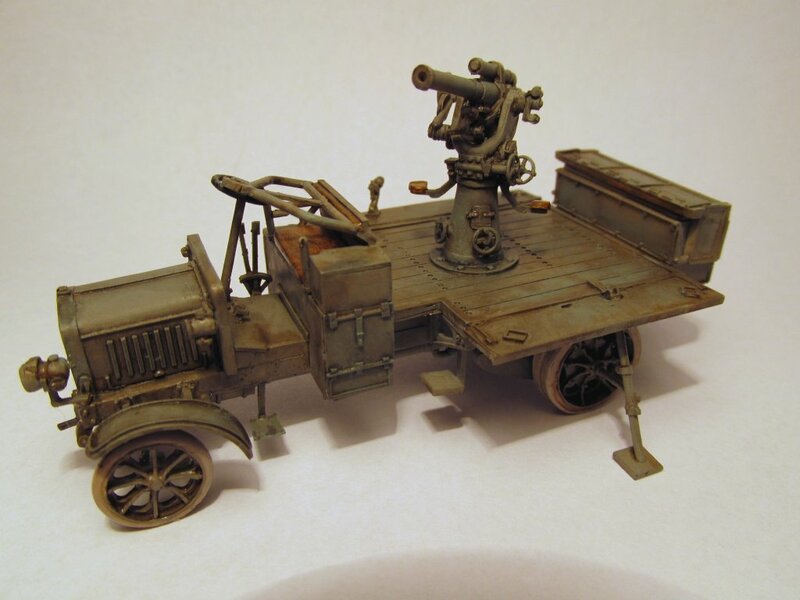 Some light washes to simulate dirt and mud were added. 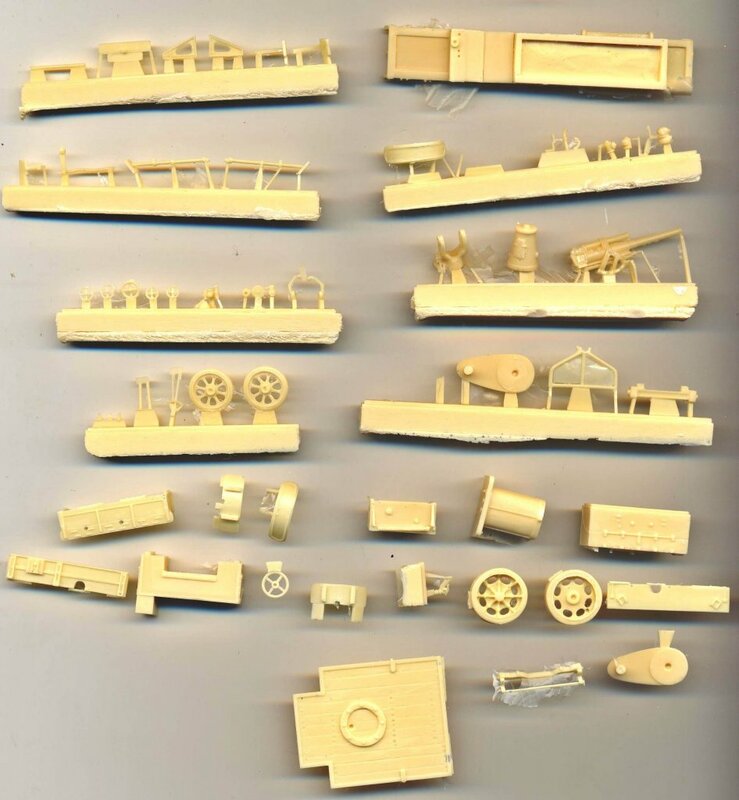 Oh, and remember that, since no country in WW1 had developed synthetic rubber, tires must be painted in the light color which is the color of the natural latex which the rubber was made from. In conclusion, there are not many resin kits around that can rival plastic kits in finesse of details, and this is certainly one of them. 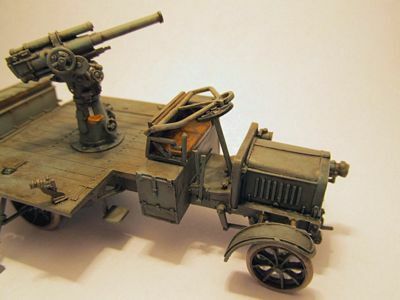 If you also consider the peculiarity and historical importance of this particular vehicle, then you should really consider adding it to your collection.